Intersted in signing up to be an exhibitor? Let's Lebanon! A Community Affair will be a great day for everyone in this community! This event provides a great way for local businesses and Chamber members to exhibit to the community at large and to gain exposure for their business while putting a face with the consumer. The day encourages people to shop small and local businesses and includes time for business to business networking as well. We will also have free classes, kids activities, and much more! The day is shared with the Lebanon Rotary Annual Pancake Breakfast which is in the same location and will be served from 7 -11:30 am. The event will include lots of raffles and giveaways throughout the day and there will be an awesome prize given away every hour! Businesses who are members of The Lebanon Area Chamber of Commerce have the opportunity for priority registration and booth space location. Not a member yet? Not a problem! Join the Chamber before March 1, 2019, and put your booth cost towards your Chamber Membership dues! Come join us and be a part of a growing community! 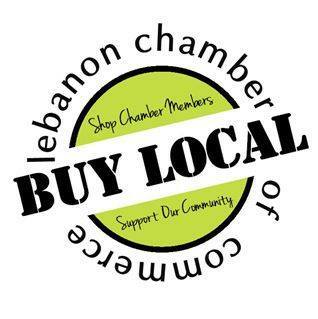 Join online at www.lebanonchamber.org or email info@lebanonchamber.org. The Lebanon Business Expo is FREE and OPEN to the public. Are you interested in becoming a Sponsor for this year's Event? If so, be sure to contact us at info@lebanonchamber.org for sponsorship details.